In our first blog post we focused our attention on young people’s motivation. What does history have to offer them? If we’re clear about why we’re teaching what we’re teaching (instead of just saying that they ‘need it for their exam’), then we’re much better equipped to plan effectively and help students to engage with new ideas and information, and connect these ideas to what they already know. But expressing that new knowledge in writing remains challenging for many students. 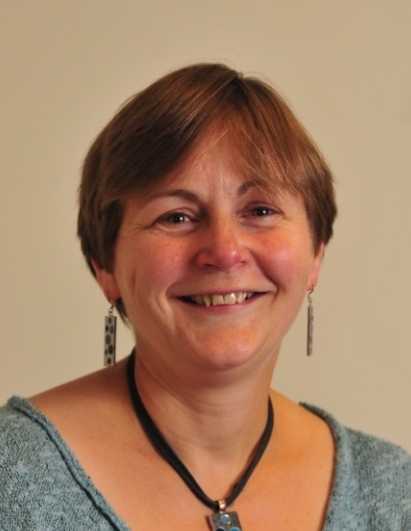 This blog post outlines some of the practical strategies that we suggested in our HA conference workshop to help students who particularly struggle with writing. picking the right kind of language. The first and second of these decisions become much easier if students recognise that making a judgement depends on having clear criteria (specific standards) by which to judge. Dani Hilliard, of Argue to Think, has illustrated this brilliantly in previous conference workshops by asking participants to judge between X-factor contestants. When pushed to justify their decisions, they begin to make explicit criteria – such as pitch or passion – that may only have been implicit in their thinking. This kind of parallel can help young people see the importance of appropriate and explicit standards in responding to many different kinds of questions. For example, let’s look at the exam-style question below. Causes: did people have more powerful ideas to explain what was going wrong? Prevention: were they more able to prevent disease? 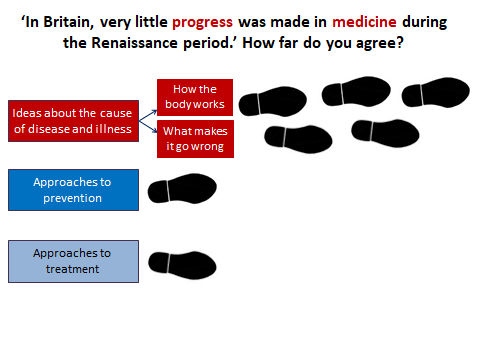 Treatment: were they better at curing it? 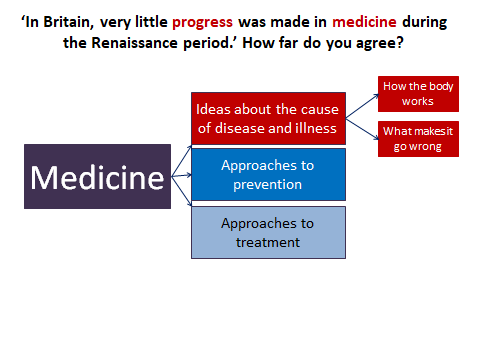 If students can spot that their starting point in thinking about the extent of ‘progress in medicine during the Renaissance’ should not be to seize on a particular development but to decide what counts as progress, then what they go on to write is likely to be well-targeted. 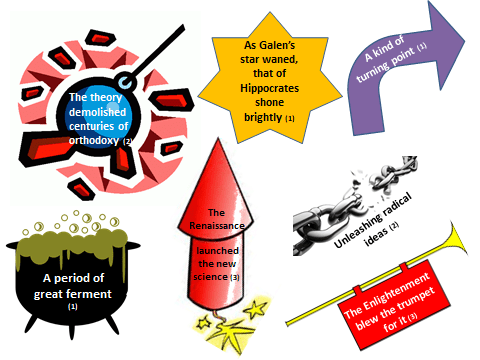 A second strategy is to harness the power of what cognitive scientists refer to as ‘dual coding’: using images to reinforce text and to support students when they are grappling with abstract ideas such as ‘progress’. The metaphor of taking ‘steps forward’ can easily be turned into a powerful visual demonstration when teaching thematic studies. Give three students a series of paper footprints, position them at one side of the class, and ask them to lay one down and take a step forward for every useful development related to their particular standard (ideas about causes, approaches to prevention, or approaches to treatment) that they – or the class – can recall. 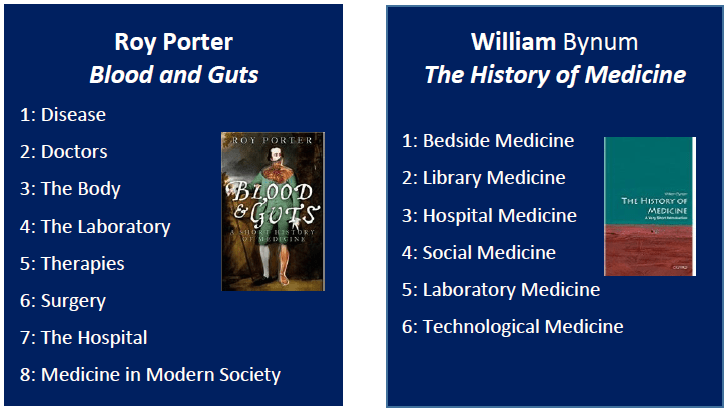 This will give a striking impression of the contrast between the steps taken by the first (with reference to Vesalius and Harvey’s knowledge of how blood circulates, and Thomas Sydenham’s careful identification of different diseases), and the lack of movement in relation to the other two. Once students can ‘see’ what they need to describe, it becomes much easier to find appropriate language to do so. In carrying out this activity with participants in our workshop, we could hear phrases like ‘a giant leap forward’ applied to Harvey. You can use such phrases regularly in your teaching (for example, by choosing historians’ metaphors to introduce new characters or periods; by asking students to explain what such phrases mean; or by asking students to devise their own phrases). This is not only creative and playful; it will also help to secure students’ memory of critical developments, and give them more powerful ways of categorising and analysing them. Another strategy worth borrowing from historians is that of creating chapter headings to sum up different periods. Roy Porter chose just a single word for most of his chapter titles; William Bynum managed with just two. Challenge those who don’t like writing to find the best word or shortest possible phrase to help them recall the most distinctive features of each period. But even for those who struggle, history books offer much more than this. Wright’s account in his Prologue of Harvey’s demonstration of his theories is worth reading aloud simply for the drama of the scene, though it’s not for the faint-hearted! It becomes even more powerful if accompanied by Wright’s careful explanation from the Preface that he ‘invented nothing: every detail is derived from primary sources’. Counsell, C. (1997) Analytical and Discursive Writing at Key Stage 3. London: The Historical Association. Available online at: https://www.history.org.uk/resource/1948. 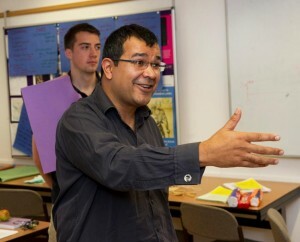 Argue to Think – a research-based project based at the University of Exeter providing training for teachers and students in developing an effective argument: http://www.arguetothink.com.